While a dental crown is an excellent way to protect a weakened, damaged, or aesthetically compromised tooth, it can take several weeks to receive a conventional restoration. To provide the ultimate in convenience, Dr. Byron W. Wall, DDS offers customized same-day crowns at Cosmetic Dentistry of New Mexico. So what makes a same-day crown a great choice? With a same-day crown, you can experience fully restored function and appearance in a single visit to our office. By choosing a same-day crown, you can strengthen your smile without a temporary, saving time and money. Using the CEREC system, our team can create digital images of your smile instead of using messy impressions. How do crowns fit into your smile? *According to a study in Operative Dentistry. Wondering whether a crown is right for you? If your tooth has a large crack, chip, or uneven edges, a crown can restore the appearance and stability of your smile. Some types of discoloration do not respond to teeth whitening. A crown can conceal staining to give your smile a more uniform color. For teeth that have been severely damaged due to decay or trauma, a crown can provide necessary strength for a stronger smile. In some cases, weakened or significantly worn teeth require added support from a dental crown. If you have an uneven bite due to teeth grinding or jaw clenching, Dr. Wall can place a crown to adjust your bite for a more comfortable smile. Disproportionate or oddly shaped teeth can affect the aesthetics of your smile. A crown can conceal issues with their size or shape. To receive any type of crown, it is crucial to have enough remaining tooth structure to properly support the crown. If you clench or grind your teeth, you may need a sturdier material for your crown, in which case a same-day crown may not be right for you. Before recommending a crown, Dr. Wall will assess your overall oral health to ensure a crown is the right solution. Same-day crowns blend in beautifully with your smile and maintain the natural alignment of your bite. With this efficient treatment, you can enjoy restored dental function and an enhanced sense of self-confidence faster than ever before. 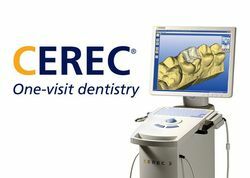 CEREC (Chairside Economical Restoration of Esthetic Ceramics) technology uses digital impressions and computer-guided milling tools to perform work that would normally take a technician two weeks or longer to complete. In a single office visit, a quick scan of your tooth will direct ultra-articulate hardware in crafting a crown that achieves a precise fit with your smile. After your tooth has been treated, digital impressions will be taken. We will then upload these images to our CEREC system and perform fine adjustments using advanced software. You crown will be milled from a block of dental-grade porcelain chosen to match the color of surrounding teeth. This portion of the process typically takes about an hour. Once your restoration is complete, the dentist will check the fit of the crown. Once approved, the crown will be secured onto the tooth using dental cement. Are there any special precautions I need to take after treatment? During your consultation, the doctor can answer any questions or concerns you have about caring for your new crown. Immediately after treatment, you can expect that your smile will look great, feel comfortable, and function properly. Rather than having to pay for a temporary restoration and fit a second visit into your busy life, you can leave your office ready to resume your normal schedule. We'll see you in six months for a checkup! According to a study of CAD-CAM restorations by the Operative Dentistry Journal, the survival rate was 94.7% after five years and 85.7% after 10 years. Dental crowns are available to Cosmetic Dentistry of New Mexico's patients to restore compromised teeth and conceal sizable imperfections. Here, a patient, Ms. Gomez, discusses the advantages of using CEREC to mill restorations on-site. Before placing a crown, Dr. Wall will reshape your tooth. He will remove damaged material and create a strong base for the restoration. Then he will take three-dimensional digital impressions of your tooth. Using state-of-the-art CAD/CAM technology, he will design a custom crown that will blend seamlessly with your other teeth. Dr. Wall will then upload the designs into our CEREC® machine. 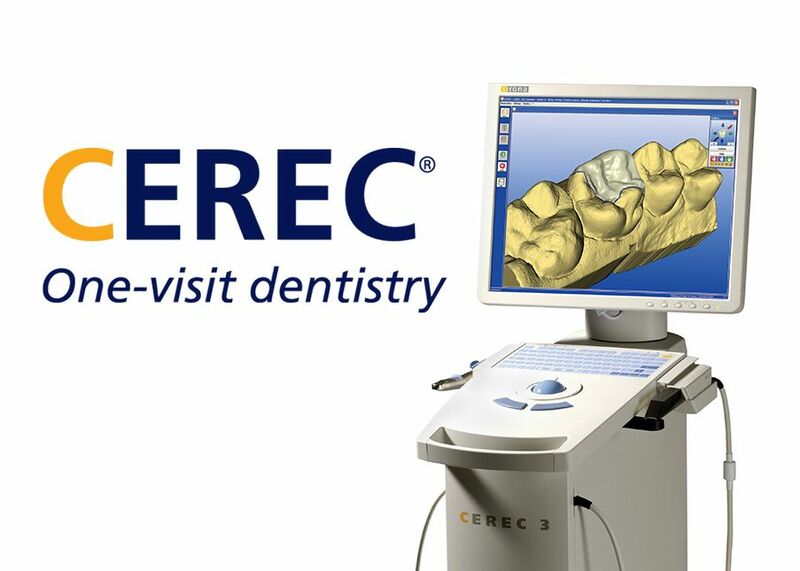 The CEREC® system works much like a 3-D printer. Usually in under an hour, it will generate a crown from a solid block of porcelain. When your crown is complete, Dr. Wall will make sure it fits correctly, and he will attach it to your tooth. Traditional crowns are made at a dental lab, and it will be several weeks before you receive your final restoration. Same-day crowns can speed your treatment and spare you the hassle of an unstable temporary restoration. CEREC® crowns can also protect your overall dental health. These restorations will be tailor-made using highly precise measurements. Dr. Wall can make minute adjustments to even out the force along your dental arch. As an expert in neuromuscular dentistry, he can prevent undue pressure on your jaw and reduce your risk for TMJ Disorder. Finally, CEREC® crowns are remarkably durable and natural looking. The system uses medical-grade porcelain that has a natural sheen and sparkle. Plus, you will be in the office during the design process, so Dr. Wall can match the color of the porcelain to your natural teeth. Dr. Wall is an experienced dentist who uses advanced technology to provide outstanding dental care. Our team at Cosmetic Dentistry of New Mexico has been serving the community of Albuquerque for over 30 years. For more information about our services, contact our office online or call (505) 883-4488 today.